Sign up to renew your favorite shows and series. When your show reaches its goal we'll launch a crowdfunding campaign to renew it for a new season! Do you love fantasy? Science fiction? Horror? Find the shows that tell your story, watch their existing seasons on The Fantasy Network, and decide which ones you would love to renew! Want to renew a show? The first step is signing up for the email list. 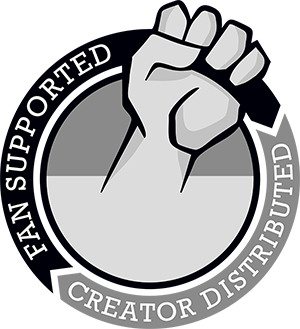 This lets the creators know that you're willing to pledge financial support to keep the story alive! Now to find more people who also want to renew the show that you love. The power to keep the story alive is in your hands. When enough have signed up the crowdfunding campaign will launch! 633 out of 2000 people have signed up to renew Strowlers! 142 out of 2000 people have signed up to renew The Gamers: The Series! 4821 out of 5000 people have signed up to renew JourneyQuest! 675 out of 3000 people have signed up to renew AFK! 136 out of 1200 people have signed up to renew Walking in Circles! 68 out of 2000 people have signed up to greenlight Phoenix Run!